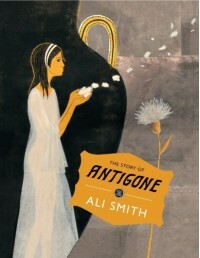 I vividly remember reading Antigone at school and really liking it. In fact, I continued to seek out different variations of the story to see how authors throughout the ages have used the story and applied against their own time and circumstances. Ali Smith does not do this. She does not use the story and make it her own by adapting it to a modern setting or changing characters. However, AS manages to bring the original story home to a modern audience / readership. What I mean is that AS retells the original story – using the characters of a crow and a dog as narrators – but does not expect the reader to have any background knowledge of the story of Oedipus (Antigone’s father) or indeed the customs of ancient Thebes. Highly recommended to anyone who wants to know more about the story but is put off by any of the outdated translations of Sophocles’ work.